Other Training: Consultant physiotherapist (Orthopaedics, sport, trauma), Certified Infant Massage Instructor CIMI, IAIM-Kenya Chapter Representative. I'm a retired Consultant Physiotherapist (HCPC & KSP - now PCK) & previous specialist in Orthopaedics/sports injury/trauma. I used manual handling techniques in my work for forty years and I'm aware of the emotional & energy component of tissue release. I continue working as a Certified Infant Massage Instructor (CIMI) and EFT practitioner. I have a BSc in ergonomics and sociology and a PhD from the Rehabilitation Studies Unit at the University of Edinburgh. I discovered EFT in 2006 and, at first, used it for my own self care. After training as an EFT practitioner in 2012, I introduced EFT into my practice as a physiotherapist. In 2012 I self published an illustrated children's book about 'patting' called, 'I Still Love Me' (ISBN 978-178035-461-3). 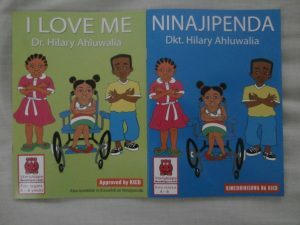 The Kiswahili version, called 'Ninajipenda' (I Love Me), was published by storymoja in September 2013 and was approved for government schools by the Kenya Institute for Curriculum Development (KICD) in 2014. After the 2013 Westgate Mall attack in Nairobi, I volunteered help to over 100 people affected by the tragedy. 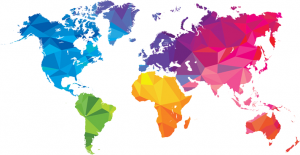 I became an Accredited Certified Advanced EFT practitioner in June 2014. My focus is to help clinicians and teachers continue to provide service to others by showing them EFT self help strategies for their own stress; working with people with PTSD & trauma; and spreading the use of EFT & TTT in schools and the community.